Discussion in 'Cable & Video' started by SSF, Nov 1, 2008. 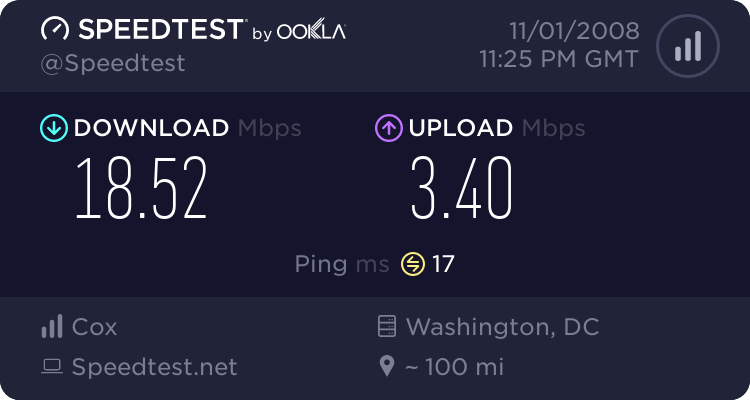 I just switched from Embarq (formerly Earthlink) to Comcast for my ISP. I only signed up for the 6mb speed but am consistently exceeding 25mb! 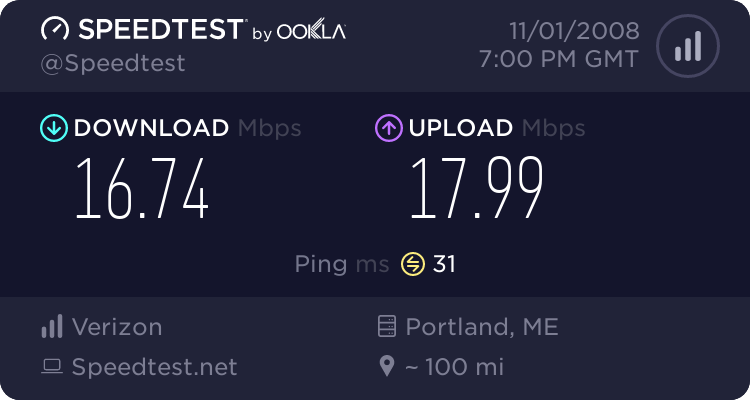 Test and post your HOME ISP! I am just barely getting by. 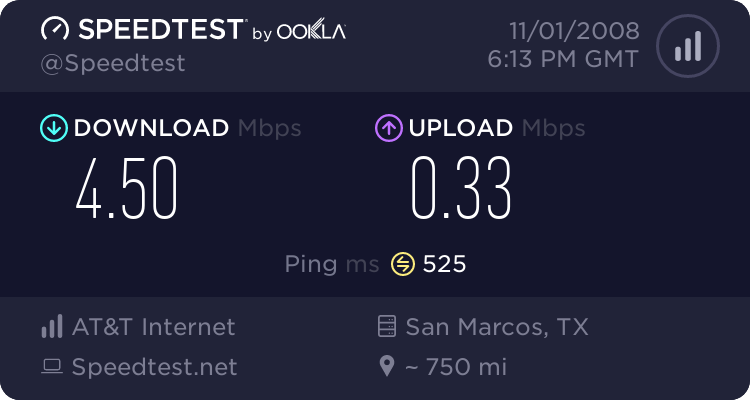 I had been with Suddenlink cable internet for a while. I had been very unhappy with them for a while. The end of the line came when watching hockey games online were constantly buffering. I tested my speed multiple times. I was paying for 8 megs. I never got anything close to it. I was told by others Suddenlink does not own enough bandwidth for the amount of customers they have in the area. Many others are unhappy with the service as well. 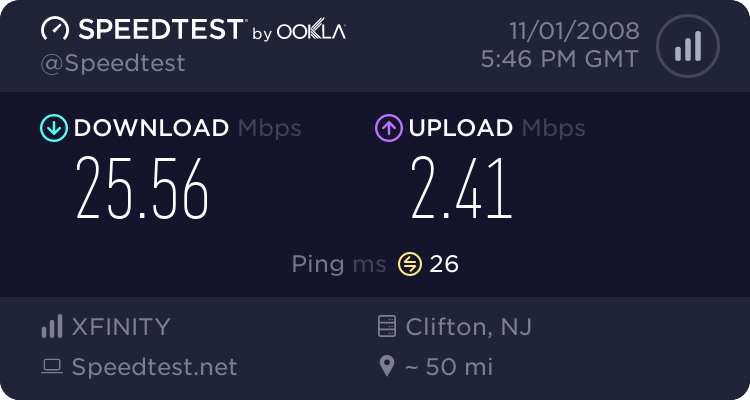 I was also told cable connection works different then phone line connection. 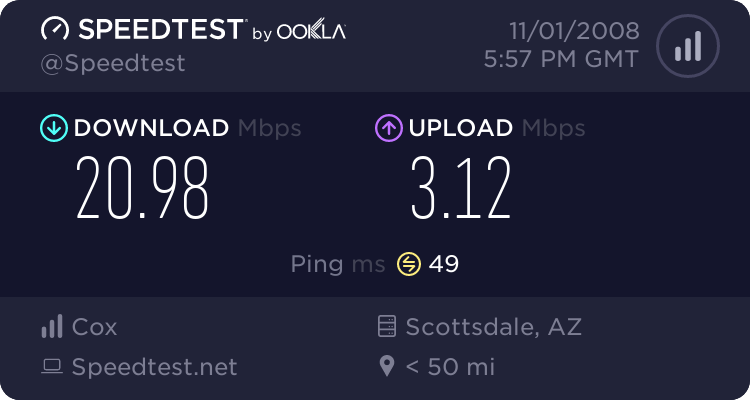 Your speed changes with cable depending on how many customers are online. 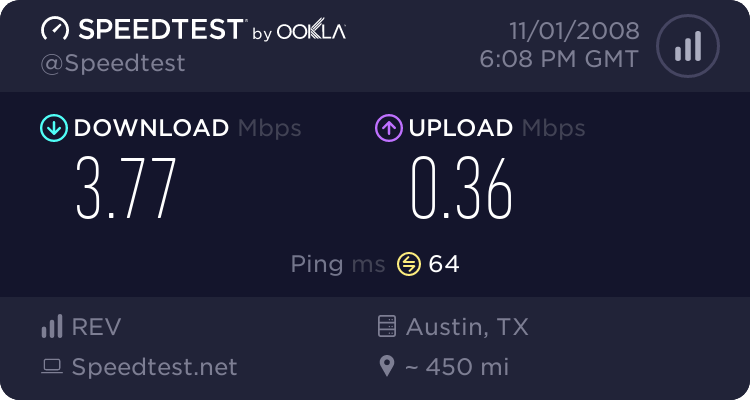 With DSL your speed tends to be more consistent. 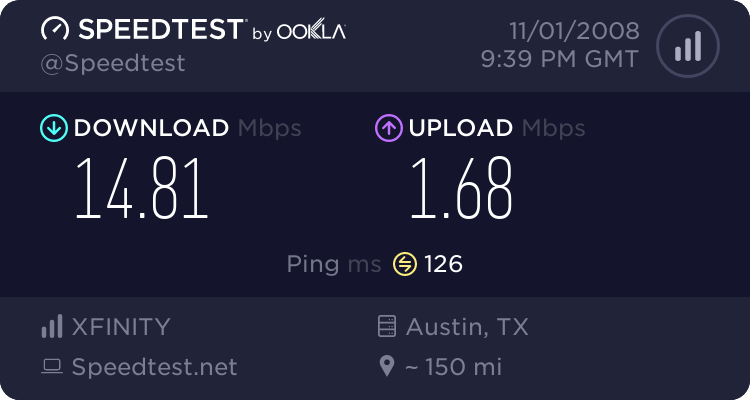 I now have ATT DSL, but I purchase it through a sub that sells the same service. 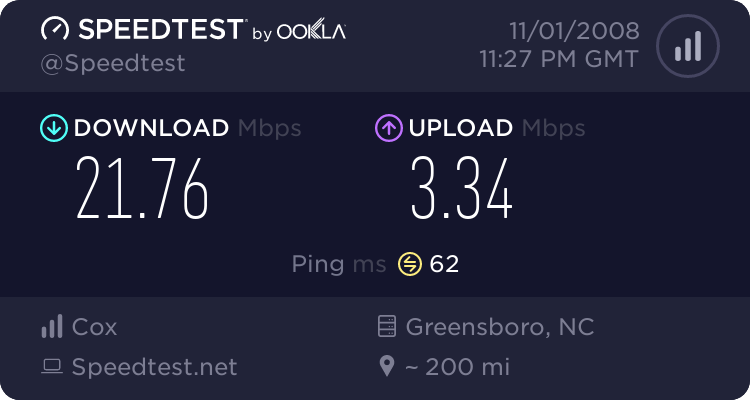 So I get local support instead of ATT support from out of the area. My performance is way better with the DSL. Live hockey game streaming works great with 1.5 megs, but next week I will be getting 3 megs service. 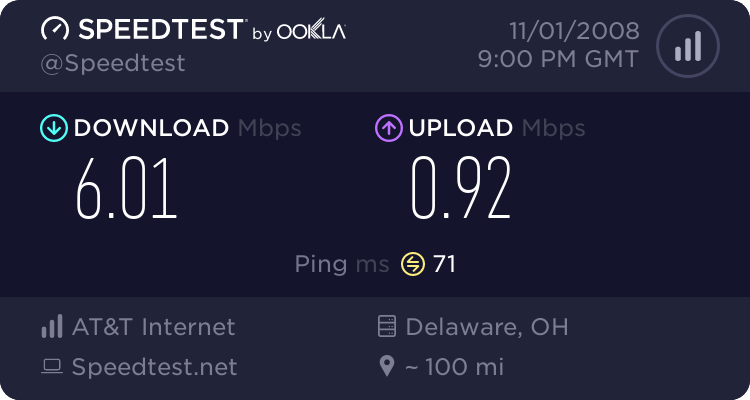 My Suddenlink service was terrible. 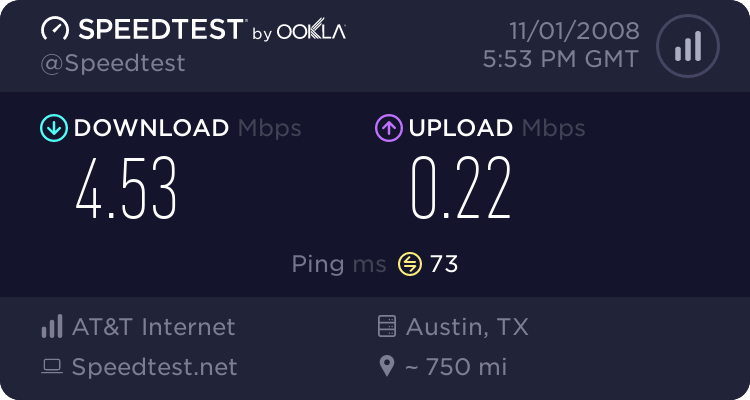 We are in a isolated area so are choices are limited, but ATT seems real solid connection so far. I was getting Mcafee firewall free with my Suddenlink. I got rid of that, and picked up AVG instead. My computer is also working better with that change. Much better in fact. Sorry not sure how to post a screen shot. My goodness! Are you dialing up? 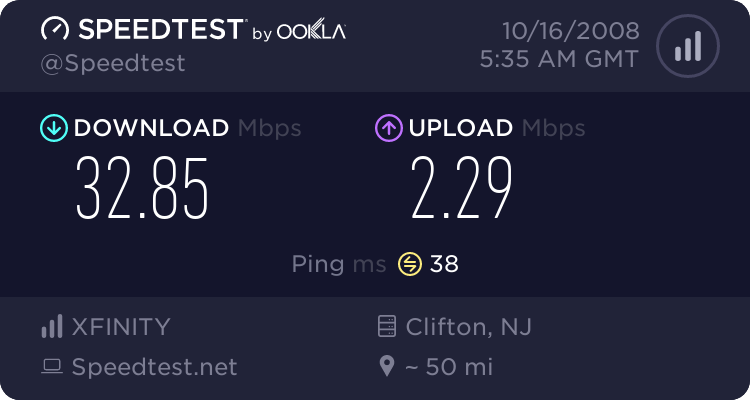 I had SBC when I lived in CT and had OK speeds, certainly higher then 4mb! I hear you brother. Click on one of our test results. Run a test. On the right side of your results they offer three links. Choose the first one for Forums. 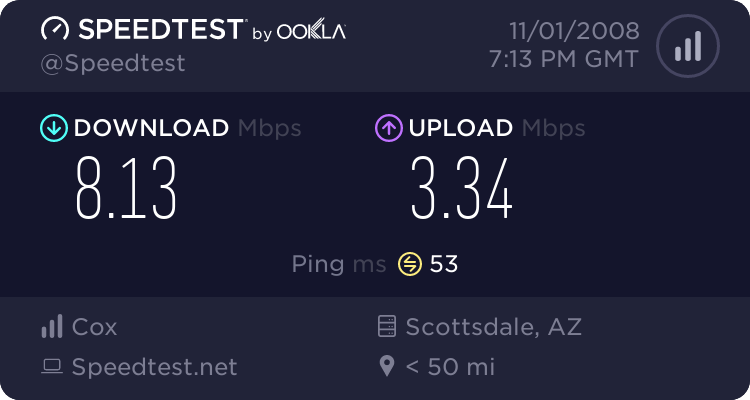 I'll be getting twice the speed in a few days with a upgrade. Here is mine. FiOS rules!! Wow !! You are the first one where I have seen the upload speed faster than the download!! I am paying for 20 up & 20 down, but I have seen it go that high yet. They promise "up to" 15/2. We're happy with them...service is very good. I've seen better results from other speed tests. Those ping times are double what I see with "ping". Not bad, but SSF's download speed is phenomenal. Another server 200 miles away gave different results.